Well somebody has to do it (defend Todd Standing, that is). His mother wont return our phone calls and and his sister has denied all knowledge. The first part is a joke and the latter is true. For the record, Louis Standing was very kind and polite both times we contacted her. No, no! Its not us, we are not in the defend Todd Standing Camp. 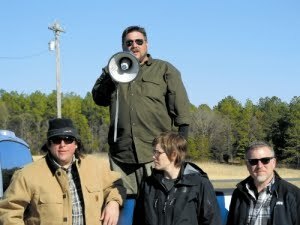 In fact, he is one of only two individuals we continually mock here; Tom Biscardi and Todd Standing. 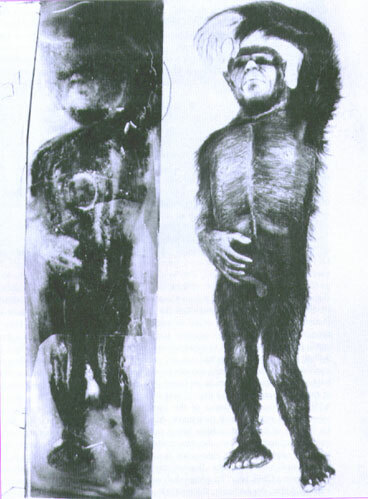 These two controversial characters are considered hoaxers by some, and there is not much tolerance for hoaxers in this community of Sasquatch searchers. Nor should there be. With that said, we also know how smart our fans are and they can form their own opinions. The gist of his letter is Adrian Erickson bought all of Todd Standing's films and material and that is why his site and youtube channel disappeared. We have mentioned our concern with with the Erickson project purchasing Standings materials before. http://www.footprintsinyourmind.com/Richard_Stubstad. Basically, what I did both before and after all the hoopla about Todd's purported "Jumping the Shark" is research at least what could be fairly conclusively researched, and either confirmed or denied. Firstly, Todd didn't really Jump the Shark; his footage etc. was bought out and he was therefore forced to shut down his Sylvanic.com website as it originally existed. Actually, this would support the theory that many of you seem to have that he is making "tons of money" from his work (hoaxed or otherwise). I don't really know how much money he has made, in total, to-date. I do know however that his work is continuing, but now with better equipment in his possession. I also believe (but do not know for sure) that the amount of money he's made to-date is FAR less than what he has spent over the last several years on either taking real videos of sasqaui (the plural of sasquatch) or hoaxing these videos & pictures. Eventually I purchased for a whopping $5 each all three of Todd’s videos and had a look-see myself, as did several of my "bigfooter" friends. After some time expired (a month or two after the release of Video 4), I finally called Todd up there in Edmonton and had about a one-hour conversation with him; not so much to find out whether his stuff was hoaxed or not (he’d of course say it wasn’t hoaxed, regardless) but just in case it wasn’t hoaxed, then what about some of the details that you folks have brought up, and other details no one mentioned yet? While his explanations to my questions seemed a little outlandish, well, so is the idea itself of a hominid called sasquatch, so what did I know? I for one have never seen one, or even seen anything I could mistake as a sasquatch. Ergo, does sasquatch exist? Does a wolverine exist? Maybe the former, definitely the latter, even though I’ve never seen either. Todd and also his wife also explained to me that it wasn't even Todd's camera that he used on "Expedition 4"; it was his stepson's camera and he didn't bother to check the date on it, let alone reset the date before he departed on this purported one-man, half-cocked as he probably was. Next, I can report what I got out of the conversation, over and above any conclusions about whether or not his stuff is the real deal: Todd is a very spiritual guy, with a whole lot of “faith” in what he calls the First Nation peoples—the American Indian tribes. He has obviously relied on the history and knowledge that these Native Americans possess, even though most of their history is not recorded in writing but rather has been passed down through oral traditions. He also relies heavily on the First Nation folks' knowledge of the wilderness, both regarded bigfoot and otherwise. Conclusion: Todd is definitely a kind-of “romantic” and is quite an eccentric, at least on European-American terms and maybe even on anyone’s terms. Having said that, I still don’t have much of a clue whether his stuff is the real deal or not—after all, once again, I wasn’t there! I also asked Todd whether he gathered any supporting evidence during his Video 4 expedition, for example something we could extract DNA from, such as hair roots or swatches of blood. “Well, no,” Todd explained. He “didn't really believe that DNA sequencing could be carried out that would prove or disprove the existence of such a creature, so I didn't bother to look for any evidence apart from the video footage and pictures from his stepson’s camera.” He also didn't bother to cast any tracks, and in fact I doubt if he had any plaster of Paris with him—too much stuff to carry along on a one-man wilderness trek, to be sure. I beg to differ with him on the DNA part of what he said, and I told him so. He said that he could try, this year (2011), to get some hair (with roots) at least. We'll have to wait and see, then, if he does so. He said he would, but I don’t really know if he was serious (let alone honest). • On October 19th, Columbia Valley RCMP were contacted regarding a man who was dropped off in the back country and had not returned. The 37-year-old from Edmonton was dropped off in the Mitchell River area, off Settlers Road, approximately 47-kilometres from Invermere, on Tuesday, October 12th. He had arranged to be picked up from there on Sunday. When he failed to return he was reported missing to the police on Sunday night. Invermere Search and Rescue were contacted and while searching for the man, discovered his sleeping bag. No other equipment was located. Police were aided by a police service dog out of Cranbrook. On Tuesday, October 20th, additional Search and Rescue from Kimberley and the RCMP helicopter arrived to continue the search. At approximately 10 a.m., Search and Rescue came upon the man, who was unhurt. He explained that he had been unable to get back on time for his pick up. The Detachment would like to thank both Invermere and Kimberley Search and Rescue for their assistance in resolving this matter. While the above newspaper clipping doesn't really prove anything about whether Todd Standing hoaxed his Video 4 or not, it does mean that at least part of what he maintains towards the beginning of the video happened, and DID in fact happen, pretty much as he explained in his now off-line Video 4. It also shows that the RCMP et. al. apparently withheld his name—unless there was, all of a sudden, someone else of the same age and hometown as Todd's, and on the same exact date who was also "rescued" in the same general area? Or: unless I'm actually hoaxing the above newspaper clipping? If you'd like a web link to this very clipping, please contact me by email (Stubstad@VenturaMail.net) and I'll send you the link, just in case you really are such a die-hard skeptic that you believe I'm in on the so-called "obvious" Todd Standing hoax(es) as well? Best of luck to all of you, whether you are a bigfoot believer or not. It is certainly true that much of the existing evidence HAS been hoaxed. I personally doubt that ALL of it has. The best quality film or video evidence—the P-G Film and the Todd Standing footage—well, I don't really know for sure and I probably never will, since no DNA exists that can be associated with either. While it's best known for broadcasts of Trail Blazers and University of Oregon Ducks games, Comcast SportsNet Northwest a focus on other kinds of activities, says David Manougian, the channel's general manager. One of these broadcasts is, Wanted II: Adventure Woman where local women compete to host thier own outdoor adventure show. This years winner was Bethy Rossos. 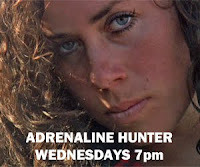 One of the episodes of her show, Adrenaline Hunter, focuses solely on BFRO investigators in the Olympic National Forest. Growing up a country girl living not only in the sticks, but in an area known for Bigfoot sightings, I have definitely played with the idea that Bigfoot could be real. To be honest, there was even a sighting on the corner of my family’s property a couple years before we bought it. The prospect that Bigfoot is a living breathing being is nothing new. 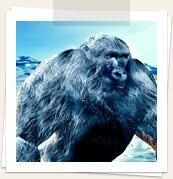 Bigfoot is known by many different names, and stories of this creature have dated back for centuries. Traveling up to Olympic National Forest and meeting with the BFRO (Bigfoot Field Researchers Organization) was the only place to go to get the real skinny. This is an organization that compiles information, data, and sightings from not only around the United States, but also around the world. I was able to sit in on a meeting with the group and listen to the encounters that they have all had in this particular location. They presented footage of sightings and footprint casts. I couldn’t wait to get out there and have my own encounter. So I guess the best time to experience such an event is late at night. I was taught how to use the night vision cameras and the thermal image cameras. I had to be ready for spending the night out by myself for the next night’s hunt. We took a day trip to some of the locations where Bigfoot had been sighted. It was important to see what the area looked like and be familiar with it in the daylight. While we were out, we came across an old dark train tunnel. When I went down into the tunnel, it was unbelievably spooky. I don’t know. I guess being in the dark by yourself and looking for Sasquatch tends to stand the hair up on the back of your neck. After our long day hunt, I thought it would be important and fun to make a nice meal for the crew. They were amazing to work with, and I wanted to thank them. I took control of the kitchen for the night and made some gumbo. Mmmm it was yummy, and got us ready for the late night hunt. Here we go! My first hunt for Bigfoot! I was stoked! I was learning from the best, and hopefully I would get to tell my own story after tonight. Well, it was pouring down rain and incredibly hard to hear which poses a little bit of a problem when you are trying to listen for Bigfoot. I was soaked to the bone, but still thriving off of the adrenaline of the anticipation of the possibility of my first encounter. I was out for awhile in the dark making big foot calls. Yes, I made big foot calls which to me sounded like a scream. However I was told that it was the mating call to male Bigfoot. WHAT? I was giving mating calls to a Bigfoot! Don’t know if that’s a good idea. Well, the bigfoot must not have been interested in me because there was no sight of him! I guess that could be a good thing. We decided to use the wood knocking technique. I made a sequence of knocking sounds on a tree. After the process at a couple different locations, we were on the top of a ridge, and I proceeded to make a sequence of knocks then we all listened closely. All of the sudden, we all at the same time actually heard a strange form of knocking repeated back at us. It was the CRAZIEST thing ever!!!!! Wishing you all chocolates, bunnies and sasquatch this Easter. This is a touching music video starring Fred Armisen of SNL and Portlandia. Ok, these are werewolves but everybody knows werewolves (fake) are misidentified sasquatch (real). For further arguments that Werewolves are Bigfoot check out these links below. Cryptomundo: American Werewolf or Sasquatch? Bigfoot Encounters: Where have all the werewolves gone? 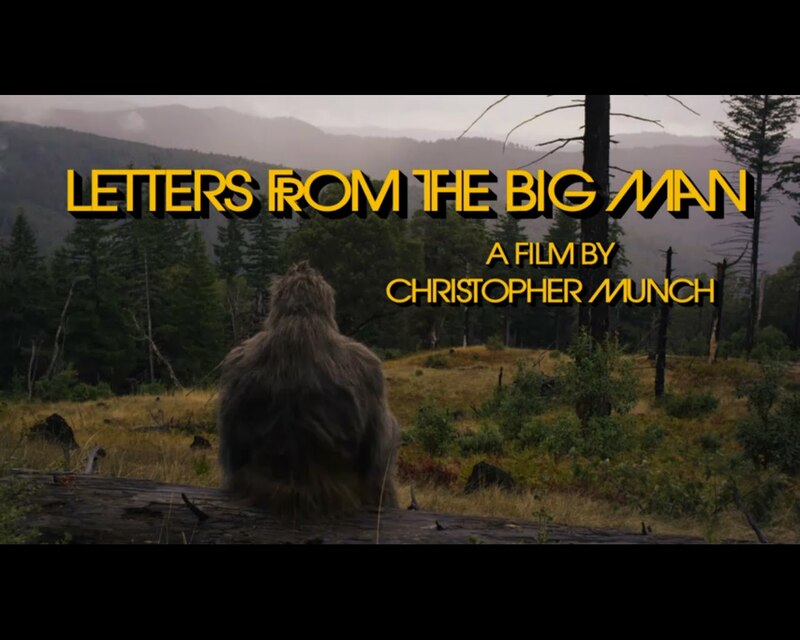 If your in California near San Francisco, clear your schedule for a screening of Letters from the Big Man. You can catch up by reading our previous Letters from the Big Man coverage. 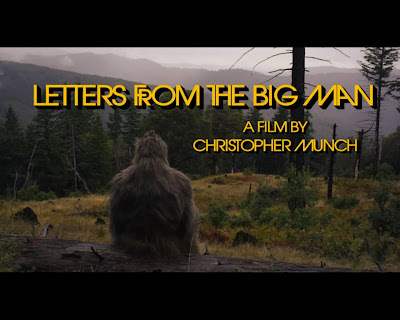 Christopher Munch's critically acclaimed Bigfoot movie will be screening during the San Francisco Film Festival at 4:15 p.m. April 29, Kabuki; 6 p.m. May 3, Kabuki; 7:30 p.m. May 5, New People. The San Francisco Chronicle's great review below really captures Letters from the Big Man. Christopher Munch's ("The Hours and Times," "Harry and Max") latest feature explores the odd, mystical connection between a relationship-phobic wilderness expert (the excellent Lily Rabe) and an earnest Sasquatch (featuring first-rate makeup effects). There is an environmental theme afloat in this beautifully shot film, but Munch isn't in the mood to big-foot us with a message. There are also whiffs of a romance, a sinister plot, even an appearance by Karen Black, in a film that will keep you guessing (and perhaps scratching your head) as the final credits roll. 4:15 p.m. April 29, Kabuki; 6 p.m. May 3, Kabuki; 7:30 p.m. May 5, New People. Need Directions? Check out the maps below! The official title of Animal Planet's newest Sasquatch series has been announced: Finding Bigfoot. Here are some of the descriptions around the net. "Finding Bigfoot, a new entry that follows the efforts of a small but eccentric team of researchers on the hunt for the elusive creature." "Finding Bigfoot looks at four eccentric but passionate members of the Bigfoot Field Research Organization as they hunt for the Sasquatch." "“Finding Bigfoot”: This show follows a group of intrepid Sasquatch trackers in the Pacific Northwest who have made it their mission to find this elusive creature. Hey, this sounds like kind of a stretch for Animal Planet because no one knows if (a) Bigfoot is human, (b) Bigfoot is an animal or (c) if it even exists (which is doubtful). Next thing you know, Animal Planet will make a show about mermaids." You may remember our full coverage the Animal Planet series as it began filming in North Carolina. 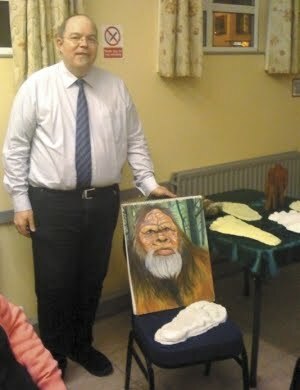 The Chilliwack Times highlights last weekend's event honoring John Green for his 50-plus years of informative books on the Sasquatch and his database of sightings and encounters that is invaluable and unrivaled. The sasquatch is shrouded in myth and mystery yet few topics of popular culture or scientific consideration induce such feelings of certainty among those who believe the creature exists and comical incredulity among those who don't. However, there does exist a middle ground trod upon by some who indeed think the sasquatch is likely real but for whom its existence is an open question based on evidence from all over North America. 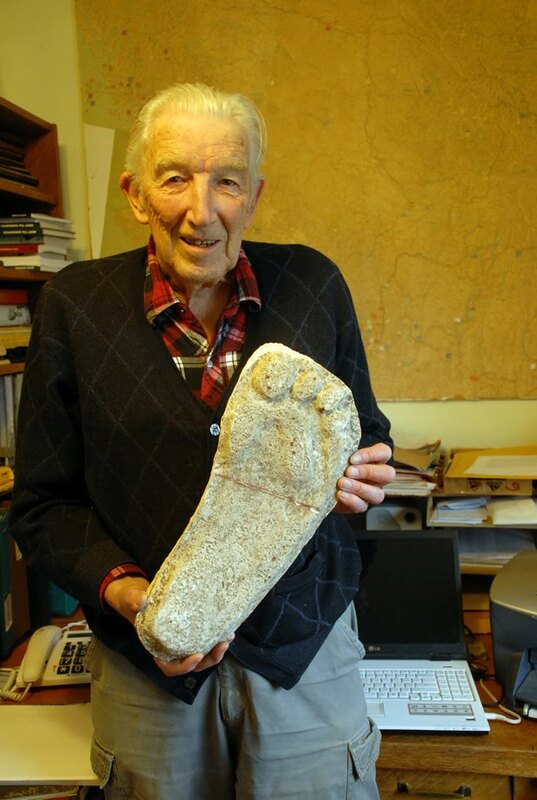 Harrison Hot Springs resident John Green falls into this category and has become a legend in the field of sasquatch--or bigfoot--research since he began his quest to find the elusive biped more than 50 years ago. 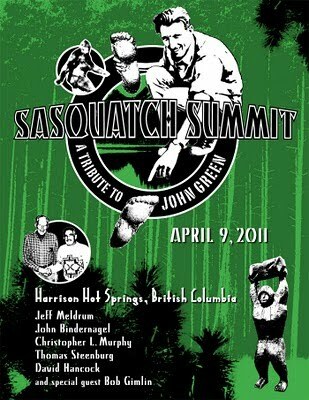 This past weekend some of the more prominent people in the field of sasquatch research convened in Harrison Hot Springs for a conference that also served as a tribute to Green and his dedication to the topic. The Sasquatch Summit took place at the Harrison Hot Springs Resort & Spa with lectures and displays including footprint casts, possible hair samples and images from the famous Patterson-Gimlin film. The weekend culminated with a tribute banquet to Green and was attended by leading members in the field of sasquatch research from all over North America and beyond. But is there really a species of large, bipedal, ape-like creature roaming the woods around Chilliwack, Agassiz, Harrison Hot Springs and the rest of North America? Green thinks so but he hasn't come to that conclusion easily or without extensive research and consideration into the matter. 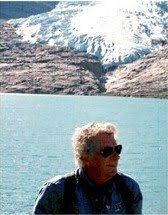 When confronted with the most obvious fact skeptics have for sasquatch searchers--why has no one come across a single bone of a dead creature?--the retired journalist doesn't shy away from the legitimacy of the question. "That's very good evidence that there couldn't be any such creature," Green told the Times during a recent interview in his home. But he added there are two conflicting lines of reasoning "There couldn't be a creature like this without a dead one having surfaced. The alternative is that somehow humans are faking all the evidence but after 50 years now for me, they can't do it." out of hand, as most people do, need themselves to be more scientific about the topic. "In this field things are upside down and backwards," he said. "The people who investigate are called 'believers' and the people who believe there can't be any such thing and therefore don't investigate are called 'scientists.'" Idaho State University anthropologist Jeffrey Meldrum is one such scientist--a zoology expert in bipedal locomotion--who has taken an interest in finding out of the sasquatch could exist. Meldrum has been confronted with the attacks and dismissals from colleagues who know about his interest in the topic. "As with most human communities, they run the entire gambit from enthusiastic interest to absolute visceral and irrational rejection," Meldrum told the Times during a recent telephone interview. "I'm sometimes amazed at the vitriol with which some people take exception to my pursuit of this." Green's interest in the sasquatch began when was a stringer for the Vancouver Sun in 1957. The government was preparing to celebrate the province's 100th anniversary in 1958 and was offering matching funds to each municipality to do permanent projects marking the centennial. A member of the Village of Harrison Hot Springs council suggested spending the few hundred dollars hunting for the sasquatch. Green did a story on the hunt for the Sun and the story exploded. "I understand it now--I certainly didn't then--any kind of an official organization taking an interest in a monster suddenly becomes a story, a huge story," he said. News outlets from as far away as Sweden and India took an interest in the sasquatch hunt. about the Harrison sasquatch?'" he said. It was in the context of this hype that Green and his wife went to California in November of 1958 to look into some supposed sasquatch tracks. He was met with serious skepticism among locals, so much so that he told the Times if it hadn't been for the attitude in B.C. the year before they would have turned around. But it was at Bluff Creek in northern California that Green found clear tracks on logging roads. Those prints, and many others he found and made plaster casts of, have been said to be faked, specifically by a man named Ray Wallace, something Green calls "utter idiocy." Just a few weeks after visiting Bluff Creek, Green went to see more tracks near a creek in hard sand that were very clear. He said that to test if those tracks could have been faked he tried jumping off a log. He found he had to land on one heel in order to get a small point of his boot in as deep as the tracks he found. "OK, can humans make them? Deliberately fake them? The plain simple answer is 'no,'" he said. For decades since first finding sasquatch tracks and making casts, Green has recorded sightings and gathered more and more evidence from all over North America. Frequently he has garnered media attention, which has always ended in disappointment. News crews from BBC, CNN and Fox News have come to Harrison Hot Springs to do pieces of Green and the sasquatch over the years, but he said they always end in a comical dismissal of the phenomena. 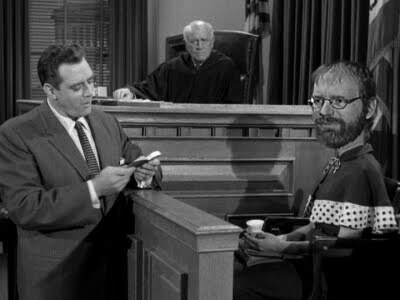 Much to his frustration, the media have always given great credence to Wallace's claims that he has faked sasquatch tracks all over North America while pooh-poohing claims to the contrary. "It is all utter idiocy and I spent months trying to get any media outlet whatsoever to pay any media attention to the plain evidence this was all nonsense and I never succeeded in the slightest," Green said. And while skepticism about the existence of sasquatch may run much deeper than belief, there are serious and legitimate scientists who continue to have open minds, including Jane Goodall and George Schaller. - See the Friday Chilliwack Times for part two of when we take a closer look at the scientific evidence as well as the local First Nations perspective. The Times of India has an article regarding the Pangboche Yeti Skull and Hand from the perspective of the Monastery. This is also somewhat of an update to our previous post, Yeti Hand Replica Delivered to Nepal. 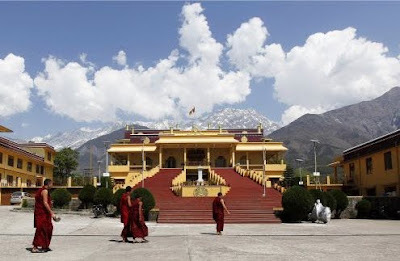 KATHMANDU: It sounds like an implausible April Fool stunt but after almost a decade, a centuries-old Buddhist monastery struggling in the foot region of Mt Everest is now going to get a fresh lease of life, thanks to the yeti. The Pangboche monastery, built around a rock in Khumbu in northern Nepal, called the gateway to the world's highest peak, survived for centuries on donations given by foreign trekkers and mountaineers who visited the over 600-year-old edifice lured by tales of it possessing the skull and a hand of the yeti, the legendary beast who inspired an expedition by Sir Edmund Hillary himself and was the subject of a book by another Everest hero, Reinhold Messner. "I saw the skull and the hand in the late 1980s after I returned from New Zealand," says Ang Rita Sherpa, senior programme manager at The Mountain Institute that last year helped restore the crumbling down monastery with financial assistance from the US Ambassador's Fund. "Both were stolen in the early 1990s. After the monastery lost its main source of tourist attraction, it fell into hardship, barely able to sustain itself." Now however, things are gong to change. Later this month, Hillary's fellow country man Mike Allsop, an "adventurer", guide and Everest summiter, will return to the forlorn monastery with a unique gift: a replica of the stolen hand and skull made by Weta Workshop, the five-time Oscar winning company that makes special effect props for the entertainment industry. Allsop visited the monastery in 2007, the same year he conquered Mt Everest, and developed a special rapport with one of its venerable lamas. Moved by the plight of the monks on having lost their bread-earning artifacts, he decided to gift them a replica till his campaign – Return the hand – manages to trace the originals. Were they really the hand and skull of the yeti? Many of the lamas and locals believe so. In 1950, explorer Peter Byrne and Hollywood actor James Stewart – he of such notable films as The Philadelphia Story, Rear Window, Rope and The man who knew too much -- visited the monastery and managed to take out one of the fingers. However, when they submitted it for tests, they proved inconclusive. "We have heard of Allsop's plans though we are not in touch with him," Sherpa said. "While I would not comment on the authenticity of the originals, I am glad the monastery will have a source of income once more." Across the Himalayas are stories of the yeti, or abominable snowman. Half man, half ape, the yeti is said to roam only the most remote peaks, where people rarely venture. Now, veteran explorer and climber Gerry Moffatt sets out to find proof in a hunt that will test his stamina. As conventional scientific theories challenge ancient beliefs and credible witnesses, he works to separate fact from fiction and find hard evidence that the legend is real. The embedded video below is directly from the site. A staff writer, Sabina Dana Plasse, from the Idaho Mountain Express, interviewed Moffet and was able to get his perspective on the show. "It's cool," Moffat said. "I didn't know if I wanted to do a show on the yeti, but it turned out to be an insight into the Sherpa culture. It's an amazing intricate culture that is still alive in the Himalayas. Searching for the yeti tells the story of these people's belief systems. 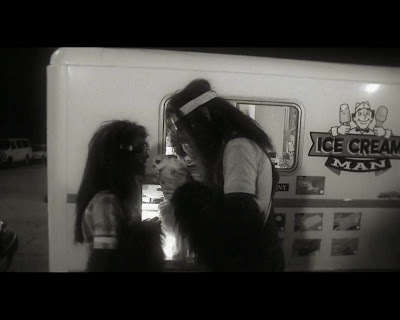 The yeti is very much a part of their lives." 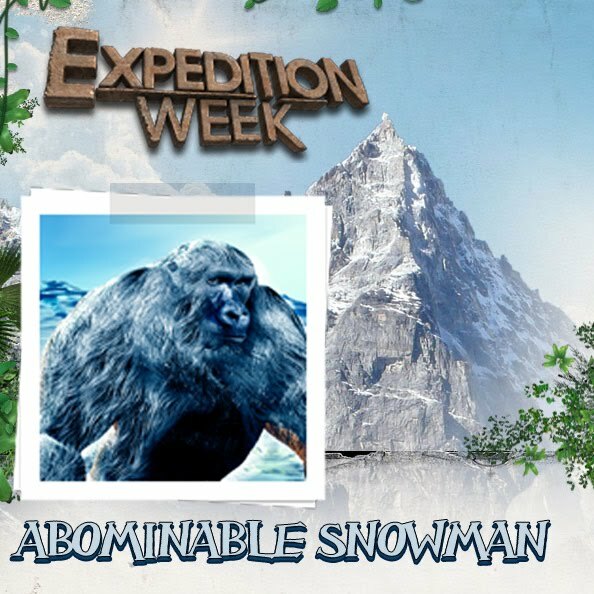 The idea of an abominable snowman, yeti or Bigfoot is a mystical one. "Hunt for the Abominable Snowman" explores and discovers why the mystical notion of these creatures is an intricate part of Himalayan culture. "It's in their art and spiritual beliefs," he said. "It's similar to stumbling upon a church in Europe where you would find the bones of a saint." Moffat said the most amazing discovery in his exploration was how the stories from Native Americans were exactly the same as those of people in the Himalayas even though neither group of people has any connection to the other. "These people are separated by oceans and continents, but have identical stories to tell about a creature that lives in the wilderness and up in the mountains," he said. Moffat's skepticism was met with never-before-seen evidence including a yeti scalp kept under lock and key at a remote Himalayan monastery and stories by eyewitnesses. "The yeti scalp is not just a museum piece, it's a sacred object," he said. "We were following leads and went to the Everest region and to the Sherpa people, where various people have claimed to have encountered a yeti or knew someone who had. We married these stories with Western science and used top trackers and scientists and analyzed data as to what was fiction and what was real." "I love snow and mountains, and hate when people try to take my picture. Fortunately I'm very good at keeping a low profile...except on Twitter!"